Jason Pottinger is a successful entrepreneur who Founded multiple technology startups. He is an expert in the commercialization of early stage disruptive technologies with broad expertise in business development and marketing strategy. Jason is also an experienced investor, and he has built several successful small businesses in the Toronto area. 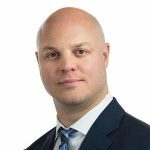 Jason has completed his MBA in Toronto at the Schulich School of Business (York University) with a specialization in international business and marketing. He also completed his undergrad at McMaster University in Hamilton, Ontario where he earned bachelor’s degrees in both economics and geography. Jason is retired professional Canadian football linebacker for the Ottawa Redblacks of the Canadian Football League. He was drafted second overall by the BC Lions in the 2006 CFL Draft. He played CIS football for the McMaster Marauders. Pranay is an experienced Engineer with expertise on product development. He earned a Graduate degree in Electrical and Computer engineering from Temple University. 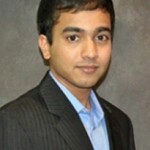 Pranay is currently working as a lead engineer at John Deere on systems and component development. He has lead product development efforts for multiple electrical and electronic components in automotive industry from concept level to production . Broad knowledge of system requirements , product validation standards, regulatory / compliance requirements are his core expertise. Apart from being an engineer Pranay has also co-founded multiple start- up companies and helped develop their products to a marketable state. Dr. Shu Ching Quek is a technologist in the renewable energy and aerospace industries for 21 years. His experience included heading multi-million-dollar programs and technical leadership for 8 years at GE, 1 year as a research associate professor at Tufts University and, 2½ years at Ming Yang Wind Power Group (MYwind) as VP of Engineering for MYwind–China and President of MYwind–USA. In addition, Dr. Quek has also held R&D roles for photonics involving the use nanostructures, active flow control, active seals and thermionic energy recovery. While at GE, Dr. Quek received several management awards for his innovative contributions to the solid oxide fuel cell (SOFC) program to achieve one of the world’s best performing cell. He leads the team to develop the world’s largest carbon based jointed aeroelastic blade at GE. In addition, he delivered the Ming Yang Wind Power’s first DNV/GL certification. More recently he has also consulted with one of the world largest concentrated solar power projects (1GW plant) with Glasspoint and significantly increasing their manufacturing yield and product operational life. Currently, Shu Ching is the CEO/Founder of Novuswave specializing in clean energy systems. He has received his Aerospace PhD from University of Michigan, Ann Arbor. He currently holds over 20 patents in the areas of wind turbine blade, tower fabrication, inspection technologies, ceramic matrix composites, sodium batteries and fuel cells. Paul Hamm is currently the VP of North America for Teknol Consolidated on LED lighting products .Paul brings in his 5 years of experience working was Director of Business Development at Orbital Research Inc. Where he was working with plasma actuator technologies and its scope for wide range of applications ranging from heavy duty trucks , racing car Industry . His prior knowledge working on this technologies will be a key asset for our organization . In the past he was the Executive Vice President of Strategic Partners for Audi Performance Racing. Paul joined ARP to manage and develop APR’s key partners involved with motorsports marketing. Key to his role is showing how companies benefit from a fully integrated sports marketing and merchandising program within Motorsports. Paul has spent several years working in various roles involved with Motorsports including Sponsorship Management, Motorsports Marketing, Sponsorship Acquisition, Driver Representation as well as Co-Owner of a NASCAR team. 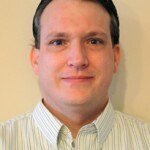 Previous to APR, Paul held the position of Segment Director of Global Truck and Automotive Lighting for Akron Brass/Weldon, a Premier Farnell Company. 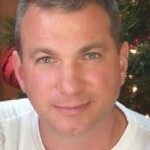 Tom Barnett has been developing automotive products for over 25 years. His career started as a co-op student while attending GMI Engineering and Management Institute (formerly General Motors Institute). 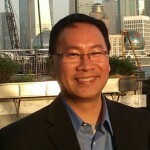 He graduated from GMI in 1993 with a Bachelor’s Degree in Mechanical Engineering, specializing in plastics and optics. Throughout his career, Tom has devoted his efforts to designing over 200 products for automotive industry. He has several patents on LED technology and optics. Product reliability and compliance with standards are key points in this development process. Tom Despres’ background includes deep experience in electronics and electro-mechanical manufacturing in Telecommunications, Networking and Data Storage. 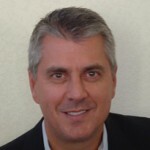 He has led global teams in Operations, Supply Chain and Manufacturing for more than 25 years. Building on his Operations tenure, he also has VP experience in Global Account Management for accounts totaling close to 0M at the second largest Contract Manufacturing company in the world. He’s been an entrepreneur, a leadership trainer and an author. Despres’ career evolved through progressively responsible roles up to and including Senior Vice President of Operations and President / General Manager of a Controlled Foreign Corporation. 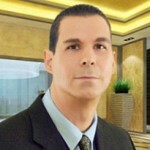 He has ten years of international experience in Latin America including assignments in Mexico and Puerto Rico. During this time, he was a key driver for production transfers, Greenfield projects, Contract Manufacturing, “turn‐arounds”, start-ups and major growth while finding ways to exceed customer expectations through a focus on winning cultures. His approach has always been to find a balance between results and fostering the environment it takes to achieve those results long term. Together with his network of contacts, he will lead and enable Plasma Stream’s go-to-market product strategy. While on assignment in Puerto Rico with StorageTek, his team received the highly coveted award of “Top Ten Best Plants” in North America in 2005, an honor as recognized by Industry Week Magazine. For his efforts there and for the success in entirety, he was recognized as the Manufacturing Executive of the Year by the Puerto Rico Manufacturing Association. Leveraging his ten year stint in Latin America and his passion for cross-cultural learning, Despres authored a book entitled “The Cultural Connection: An Expatriate in Latin America” to serve as a cultural guide for leaders working across borders between US and Latin America. 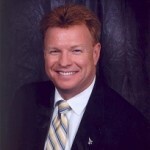 John R. McCombs is Co-Owner and Co-Founder of McCombs Enterprises, a LLC focused on: business franchise, entrepreneur, and technology opportunities. 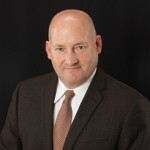 Previously he worked for 16 years in multiple executive roles at Liquidity Services, Inc. to include the head of marketing, western operations, and business leader of the TruckCenter.com/ LSI Transportation Group businesses. During this period Liquidity Services went from a start-up to a publicly traded company on NASDAQ. Mr. McCombs is a retired Lt. Colonel of the Minnesota Army National Guard, a career highlighted by the command of the 1stSquadron, 94th Cavalry and is decorated combat veteran. Mr. McCombs is a graduate of the United States Military Academy at West Point, and the Carlson School of Management, University of Minnesota. Mr. Glessner has a wealth of aerospace engineering experience having worked in varying engineering capacities for Boeing-Vertol, Grumman, Lockheed, McDonnell Douglas, Boeing, XCOR, Sikorsky, Lockheed Martin, CEi, ATK, and Mooney on subjects ranging from accident investigation, aerodynamics, handling qualities and flight testing on such vehicles such as the High Speed Civil Transport, B-717 airliner, the Space Shuttle, the Multi-Stage Supersonic Target, the Mooney M10, fighters such as the F-14 Tomcat, F-22 Raptor and F-35 Lightning II and the CH-47 and S-92 FBW helicopters to various classified projects. He worked as the Chief Aerodynamicist at XCOR where he helped create their aerodynamics department and acquired .4M USD of computer hardware, software and services to support computational fluid dynamics at no cost to the company. XCOR’s Lynx space-plane has been in Aviation Week & Space Technology regularly and will fly passengers to space several times daily with its first flight in 2015. Over his career, he has received awards from Boeing, the U.S. Air Force, JT3, and NASA. He is currently a member of MPG, AARWBA, AOPA, SFTE, and SAE and he has made significant contributions to these organizations as a subject matter expert. Mr. Glessner has taught Vehicle Aerodynamics at the Art Center College of Design in Pasadena, California. Roger Penske raced a wing design initiated by Mr. Glessner for both of the cars Penske fielded in the 1983 Indy 500; the cars placed second and third (only three cars on the last lap). Mr. Glessner served as the Lead Aerodynamicist for a U.S. attempt to set the new World Land Speed Record at over 1,000 mph. He volunteers his time to the Society of Automotive Engineers (SAE) to speak at universities’ Formula SAE open-wheel programs. Mr. Glessner has spoken at the ‘Triple Crown’ of speaking engagements one year: SAE’s headquarters in Troy, MI., SEMA’s 39th annual Las Vegas convention and Performance Racing Industry’s symposium in Orlando. He has earned a Bachelor’s of Science degree from Pennsylvania State University in Aerospace Engineering 1984 and a Master’s of Science degree from Polytechnic Institute of New York in Aerospace Engineering 1989. Mr. Glessner is an FAA certificated commercial pilot with instrument and multi-engine ratings and has a California real estate license. 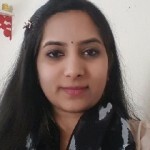 Priyanka is a driven, analytical, astute professional with consistent success in Project management, Business development , Quality compliance and Supply management. In the past she worked at AT&T as project execution manager, and has extensive experience in managing multiple projects . Priyanka has a Master’s degree in Electrical Engineering from Southern Illinois University . Mr. Park is a Certified Hedge Fund Professional (CHP), with additional (CHP) certifications at the highest level in Portfolio Analytics & Risk Management. He also attended the Notre Dame Mendoza College of Business (Leadership &amp;amp;amp; Management) and has served in executive leadership positions for over 20 years. Mr. Parks has closed several acquisitions and multimillion dollar lines of credit from hedge funds; as well as negotiated and / or closed many mergers, strategic partnerships, license and/or sponsored research agreements and joint ventures. As an experienced practitioner of business strategy, he has read, studied and applied numerous books and countless articles relating to business strategy (According to the Wall Street Journal, the most sought after executive skill set is strategic thinking).